As we have seen in the course so far, systems of thought are not simply dogmatic answers, but cultures of questioning as much as answering. We saw Shamans go on vision quests to learn the sources of problems, and the Egyptian wisdom proverbs question authority, social status, consumption (over eating and drinking), expertise, and other aspects of human life and society. Now, we move to China and examine one of the foremost ethical geniuses of world history: Grand Master Kong, Kong Fu Zi, or as he is known to us, Confucius, the Latinized name transliterated by Catholic Jesuit missionaries who got to China in the 1600s and were astounded to find that the most influential philosopher in thousands of years of Chinese history has teachings very similar to Jesus. Confucius was dedicated to the idea that the individual can obtain fullness and happiness by placing others before oneself and by recognizing the desires of others as equal to the desires one has for oneself. Before we start in on the schools and sages of the Chinese tradition, first we must cover the shift in transliteration of Chinese into Phoenician/Roman alphabetic characters. Today, we use the Pinyin system, adopted by the People’s Republic of China in 1958, adopted by other countries by the 1980s. It still has problems, but is vastly superior to the Wade-Giles system invented in Britain in the 1800s. When you read books from the 60s and 70s, you find the word Dao spelled ‘Tao’. This is because the Wade-Giles ‘t’ became ‘d’, and so the Daoist classic the ‘Tao Te Ching’ became today the ‘Dao De Jing’. What was once the capital city ‘Peiking’ is now ‘Beijing’. Important for Chinese Philosophy, while the Latinized names ‘Confucius’ and ‘Mencius’ remained the same, all other names changed, particularly the suffix for ‘master’, which was ‘Tzu’ but is today ‘Zi’ (pronounced something like ‘tzih’ with a soft ‘t’ in front). My favorite Chinese philosopher used to be ‘Chuang Tzu’, but is today ‘Zhuangzi’, or Master Zhuang. Similarly ‘Lao Tzu’ is today Laozi, Master Lao, and ‘Mo Tzu’ is Mozi, Master Mo. None of these names unfortunately appear in spell check either way. Luckily, Wikipedia is a good tool for dealing with this annoying situation, for if you search for a name either way, it sends you to the right page with the modern Pinyin name. I use this all the time, even though I have studied these guys for years. One would like to think that times of peace and prosperity are good for systems of thought, but times of civil war and disintegration of empires seems best for thinkers and systems of thought. This was true in ancient Egypt, India, Greece, and true in the golden age of ancient Chinese thought as well. Human beings only rethink problems when they are faced with them, and they are only able to teach new and countercultural solutions when the orthodoxy is weak and failing. 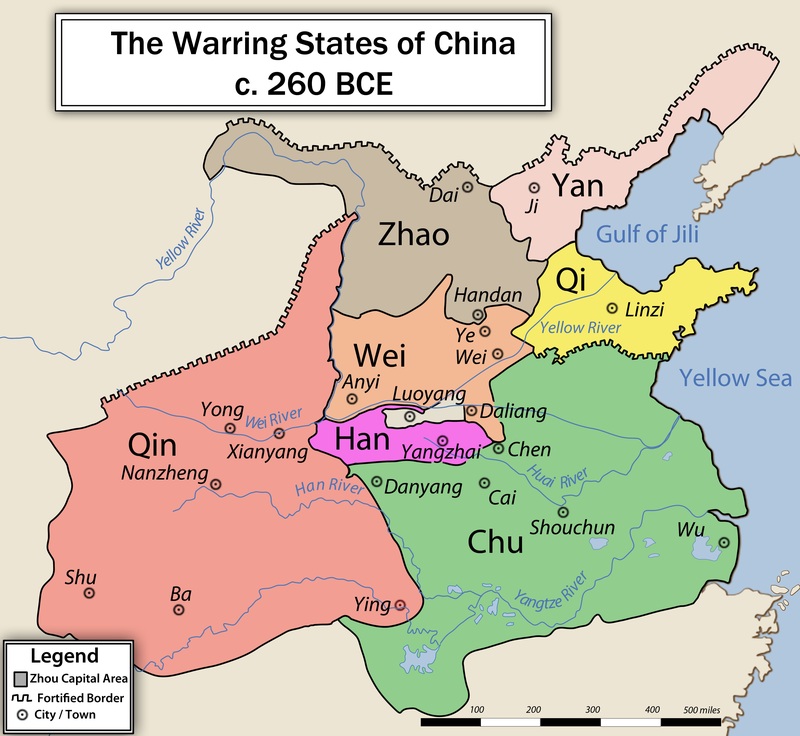 In Confucius’ China there were great problems in the Warring States period (500 – 220 BCE) as many kings came and went, each calling themselves ‘mandated by heaven’. Interestingly, this same period is known as the golden age of Chinese thought, the Period of the Hundred Philosophies, also called the Period of the Hundred Schools and Period of the Hundred Sages. As we have learned with ancient cosmology, the worldview of ancient Egypt and Persia that influenced all three of the axial age powers (ancient India, Greece and China), the world was thought to be built like a person and order was thought to be spoken downward from the heavens to the earth. In ancient China, it was said that if a king was good he would be supported and affirmed by the voice of heaven, which in speaking for a king gave the king the ‘mandate of heaven’ and allow him and the empire to prosper. This is very similar to most other polytheistic and monotheistic cultures of the ancient world. If the king does not follow the way of heaven, the gods or god stops speaking for the king, and someone else comes along and takes the king’s place. Each new king claims that the old king was ‘no longer spoken for’, so the populations of Greece, India etc. find themselves wondering: who or what kind of king exactly does heaven (the heavens) speak for, and why? The Period of the Hundred Philosophers or Hundred Schools, as it is called, came with the Warring States Period after the Zhou dynasty crumbled and ended with the Han dynasty. While there may not have been a hundred separate schools, there were many schools of thought in this time but many and their teachings did not survive. 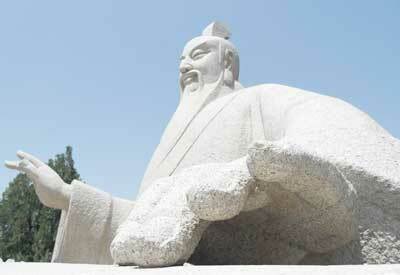 The four most popular and famous philosophies were Confucianism, Daoism, Moism, and Legalism. 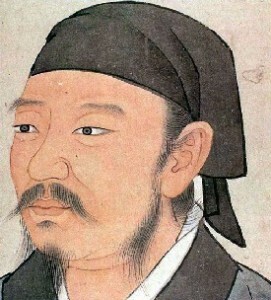 The Han did not like the authoritarianism of the Legalists, who believed in harsh punishments and strict laws (likely because the Han were trying to win over the people at a prosperous time with many options), but they also did not like the communalism of the Moists who believed that war should be abolished and, like in Plato’s ideal republic, all property and family shared in common (likely because the Han were trying to hold down a prosperous and diverse empire). Confucius and the Daoists we will examine next week proposed different solutions to this problem. The Daoists believed that going off into nature and rejecting human ways was best for cultivating the individual, while Confucius believed that the city, morality and study were best for cultivating human virtues. Thus, while Confucius and the Daoists were both questioners of individual desires and judgment, Confucius believed we should turn to civilization and cultivation to realize our true nature and the Daoists believed we should turn away from civilization and back to simplicity and the natural to realize our true nature. Confucius, the Daoists and others speak of the ‘Mandate of Heaven’ (Tianming) and the ‘Way’ (Dao) of heaven (Tiandao) but not of the Lord of Heaven. In India, Greece, China, and many other places, we can see that first many tribes and their gods were drawn into polytheistic (many gods) systems (as we focused on last week), and then after this these were drawn into monotheistic (one god) systems. We can see that many gods with human like desires become one god with human like desires, and then this one god becomes more and more abstract. We see the same pattern in China, where polytheism grew into a monotheistic and then abstract monist ‘Way’ or ‘Mandate’. Essentially, the All Lord becomes simply the mind of the universe or the ‘way’ or ‘order’ of things. The Zhou and earlier empires spoke of the Lord of Heaven, but Confucius and the Daoists in the Warring States period do not speak of the Lord of Heaven, but rather the Mandate and Way, showing us that, like the golden age of thought in ancient India and Greece, the revered thinkers were challenging the old tradition with philosophical monism that questioned the very shape of cosmology itself while extending it. Just like we had with Egypt last week, Confucius (550-480 BCE) believes that the heart is the center of the human being. Notice that this ‘center’ is both mental and physical, fitting with cosmology, psychology and medical practices. Confucius is often understood as a champion of traditional order and ritual, as he is a proponent of civilization and education against the Daoists who are proponents of nature and meditation. However, it is clear from the Analects that Confucius believed it was more important to have right insight rather than right ritual or tradition, to have right intentions than right actions, i.e. ‘one’s heart is in the right place’. Confucius was a master of ritual, an official position important for civil ceremonies and legal practice as they still are in courts of law and political processes today. Confucius believed that ritual was the strength of a society and one should perform the rituals, but he also believed that the worst thing was to do ritual without the proper intention. Confucius would say to a churchgoer today: it is more important to enjoy your church than to attend your church, for if you do not enjoy it whole-heartedly you should not go. Consider the more secular example of giving a gift to a friend. If you give gifts so that you can borrow someone’s car, you corrupt the act of giving gifts, which should be done without expectations of repayment. It would be better, according to Confucius, to not give gifts to friends than to give them expecting repayment. Empty ritual, ritual simply for the motions rather than authentic love for and continuity with one’s society, is the worst thing, and thus it would be better in such a case to avoid false ritual and simply not perform the ritual at all. This point is often lost when people focus on Confucius’ great love of ritual and traditional culture. A good example of this point is Analects 5.5 (and yes, these are standardized so no matter the translation, ‘5.5’ is always the fifth aphorism of the fifth chapter or book, just like the Bible and Koran are standardized with numbers): Confucius says that Ran Yong does not need eloquence (civilized speech) if he is not good. Another good example is 11.10, where Confucius is grieving ‘inappropriately’ for his favorite student, and tells his students who complain that genuine love and expression of emotion is more important than being polite or pleasant (right intention trumps right outer form). However, the best example is clearly 3.26, “Authority without generosity, ceremony without reverence, mourning without grief, these things I cannot bear to contemplate”. Because the Han and many later Chinese dynasties used Confucius as a voice supporting subordination to authority, and because Confucius does indeed say to obey the father and obey the chain of command, it is often overlooked that, just as intention is more important than tradition, unjust fathers and unjust states must be corrected. Many times Confucius says that truth must be spoken to power. How will things change if no one complains? In one passage, Confucius tells his students they should rise up and overthrow an unjust local prince. One should be subordinate to authority, but only just and good authority and tradition. Confucius was a great champion of scholarship. Like Plato, Confucius believed that society should not be an aristocracy but rather a meritocracy. Confucius believed that scholarship was necessary for developing the heart, and the ‘gentleman’, Confucius’ word for the great person, developed love for others and knowledge through study of the classic texts. As scholars have pointed out, while it has often been translated ‘gentleMAN’, the term is gender neutral and Confucius was talking about the righteous rather than the nobly born, though the term was used before Confucius to refer exclusively to nobles before him. When we see the term in the text, it can also be translated as ‘the noble’, meaning anyone of either gender or social status who is an excellent human being. Needless to say, Confucius’ Analects became one of the central texts for devoted study in Chinese society, and Confucius became an ancestor revered by devotees with ritual. Confucius is credited as the father of China’s civil service system, a system in which anyone who tested well, regardless of their position in society, was given a government position. This is similar to the development of types of scribes in Egypt. It is just such a development that we call ‘the middle class’, the individuals who through study and work can rise or fall in position to fit the many niches required to run large cities and systems. What Plato recognized in Egypt, Confucius was much more successful in implementing in Chinese society, though unfortunately only after his death. Confucius himself always hoped for a good position, but did not succeed in obtaining one during his own life though he did teach many students and was revered by many of them, including powerful nobility. Just as Confucius taught that intention is more important than action, he hated scholarship for show without genuine love of learning and discovery of human nature. A good example is 4.9, ‘if a scholar is ashamed of his shabby clothes or poor food, he is not worth listening to’. He also taught that we should balance learning with critical reflection, just as Buddha did, though Buddha, like Daoists, argued that study and critical reflection also needed meditation whereas Confucius saw study as superior to meditation. In the Analects, Confucius says that studying without thinking is useless, but thinking without studying is dangerous, showing us that he does believe in individual insight but is traditional and believes in studying the traditional classics. He says, “The noble person is not a pot”, meaning that we are not containers for knowledge but should transform and reflect on what we study. Confucius was a genius at seeing himself as equal to everyone, and he encouraged this attitude as the path to excellence itself. It was this point that the Jesuits found fascinating in comparing Confucianism to Christianity. Most of us have likely heard the ‘Golden Rule’, which is paraphrased from Confucius: ‘treat others the way you want to be treated’. While Jesus says, ‘don’t treat others how you do NOT want to be treated’, we can understand them to be one and the same. My favorite example is 7.22: Confucius says that if you put yourself with any two people at random, you can take their strengths as a model to follow and their faults as a warning. Clearly, Confucius believed that we all share the same set of strengths and faults, no matter how talented (or horrible) we happen to individually be or where our talents are. Confucius taught that NO ONE is perfect, not even himself, but there is good in everyone and everything, and we had best remember that we will never lose any of our connection to our fellow human beings if we only remember to look hard enough for it. Another excellent example from the Analects: “When you see a worthy man, seek to emulate him…When you see an unworthy man, examine yourself”. Confucius had two followers who became the famous two poles of interpretation of the Analects. Mencius or Menzi, the second patriarch of Confucianism by popular consent in the tradition, believed that Confucius taught that the human being is basically good and develops the heart, growing and developing the virtues through love. He argued that because the human individual is essentially good, we need ritual to guide our growth but love is the true essence. Xunzi, the third patriarch of Confucianism, a cynic and conservative, argued that the human being is essentially evil and without the rituals and tradition to hold our nature back we would be selfish and uncivilized. This remains the major split in Confucian thought, which accommodates both opinions while leaning more toward Menzi. Menzi uses the famous example of a child about to fall into a well, arguing that anyone watching a child near a well would naturally grow anxious, even the most evil of people. Menzi argues that civilization began when people saw the corpses of relatives being attacked by animals and insects and felt compassion and grief. It is true that burial sites are some of the first archeological finds we have of human culture. Both Menzi and Xunzi, who attacks Menzi’s position later by name, use the example of little children to argue that human beings are good and human beings are evil. Menzi says that we know little children are good, before they are educated and taught manners. Xunzi says we know little children are evil, before they are educated and taught manners. Happy children are indeed lovable, and angry children are indeed immature. Many great thinkers, including Jesus and Nietzsche, teach us ‘be like a little child’, but we often tell others, ‘don’t be like a little child’. Opposite truths are often equally true. About 1100 CE, Confucianism merged with Daoist and Buddhist ideas to form a Confucian revival called Neo-Confucianism by scholars today. Buddhist metaphors such as the pearl at the bottom of the muddy lake and the sun emerging from behind the clouds were reinterpreted in light of Confucianism and Daoism. The major figure of this revival was Zhu Xi (1130-1200 CE), who argued that all three traditions were teaching the same truth but that Confucius was the superior and primary teacher. The Neo-Confucians were trying to put Confucianism back into its primary place in Chinese culture after losing much ground to Buddhism over the previous five hundred years. 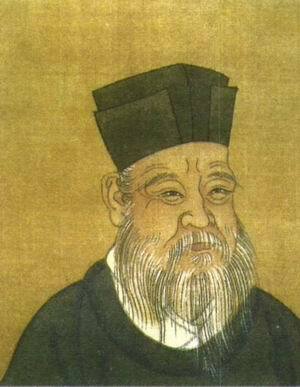 Wang Yangming (1470 – 1530 CE) one of the most revered Neo-Confucians, was famous for the idea of the unity of knowledge and action. While Confucius taught that intention and action are distinct things, Wang Yang Ming taught the complementary truth that the two are interactive as one whole. While someone can say that they know something, we can judge whether they truly know or not by how they act. An example he uses is if someone says they know that a smell is bad, but they do not act like it is bad (gagging, opening a window, pointing at their younger sibling), we could say that they do not really know that the smell is bad but only saying the smell is bad. In the same way, if we know someone is a good person we do not get nervous around them or hide our valuables when they come over. If we did, it could be said that we do not truly know they are good because we do not act like they are trustworthy. Confucius shows us a brilliant development of questioning the individual and state that we have already seen develop elsewhere. When people gather, they can see each other and see groups, and are questioning and skeptical of themselves, other individuals, and group organizations. First we look at the criticism of the individual, clearing the individual heart and putting oneself in tune with the Way. Then we look at criticism of the state, and see that the same shape applies. Second, notice the passages where Confucius is criticizing sages who go to nature and do not study. Pay attention to this for next week, as these are early Daoists who have different opinions than Confucius about the cultivation of the human individual. (4.12) He who acts out of self interest arouses much resentment. (5.5) ‘Ran Yong is good but not eloquent’- I don’t know if he is good, but he certainly does not need eloquence if he isn’t. (11.10) Yan Hui died. ‘Master, this grief isn’t right’ C; ‘What sort of grief for such a man is right? (5.18) Master said: Zang Sunchen built a house for his tortoise, with pillars in the shape of mountains and rafters decorated with duckweed. Has he lost his mind? (7.16) Even if you have only coarse grain, water and your arm for a pillow, you may still be happy. Riches and honors without justice are to me as fleeting clouds. (3.26) authority without generosity, ceremony without reverence, mourning without grief, these things I cannot bear to contemplate. (4.13) If one cannot govern by observing ritual and showing compassion, what is the use of ritual? (4.9) If a scholar is ashamed of his shabby clothes or poor food, he is not worth listening to. Haven’t seen someone who studies without any thought of career. (7.33) My seal is as strong as anyone’s, but I have not succeeded in living nobly. (7.34) I make no claims to wisdom or to human perfection- how would I dare? Yet my aim never flags and I never tire of teaching people. Whatever one’s position, you always share the faults and talents of everyone. Thus, you have to work to compare self with others, as not intuitive. You should compare yourself to others, reflect yourself through others no matter how you judge them to be, and work to get over selfishness and become compassionate and balanced (the way of heaven, opposed to selfish desire for lower). Confucius values joining all of humanity, not being selfish. (7.22) Put me with any two people at random- they will invariably have something to teach me. I can take their qualities as a model and their defects as a warning. (9.8) Am I knowledgeable? No. A Bumpkin asked me a question, and my mind went blank. Still, I hammered at his problem from all sides, till I worked out something. (2.13) Practice what you preach. (4.17) When you see a worthy man, seek to emulate him. When you see an unworthy man, examine yourself. (11.4) Yan Hui is of no help to me: whatever I say pleases him. (9.28) It is in the cold of winter that you see how green the pines and cypresses are. (15.23) A gentleman does not approve of a person because he expresses a certain opinion, nor does he reject an opinion because it is expressed by a particular person. (19.21) A gentleman’s mistake is like an eclipse of the sun or moon. When happens, everyone notices, and when corrected everyone looks up in admiration. (2.17) Master said: Knowledge is to take the known as known and unknown as unknown. (pre 3.14) (quoted by Wittgenstein) About what we don’t know we must keep silent. (5.13) Our master’s views on culture can be gathered, but you can’t hear his views on the nature of things or the Way of Heaven. (7.21) The master never talked of miracles, violence, disorders, spirits. Con: In that case, I have been praying for a long time already. (11.12) Asked how to serve spirits, he said, You have not yet learned how to serve man, how could you learn to serve the spirits? Asked about death, he said, You do not yet know life, how can you learn about death? (6.17) Who would leave a house without using the door? Why do people seek to walk outside the way? (2.11) He who by revising the old knows the new is fit to be a teacher. (2.12) A gentleman is not a pot. Confucius is not a compliant sheep when it comes to the state. His criticism of individual judgment and pride is matched by criticism of the state. (11.17) Rich student tyrant: C- attach him: you have my permission. Sees private interest trapped in the state (nobles disunifying Zhou court, into warring states). (13.15) asked by Duke: Is there a single maxim/rule that could ruin a country? C- The prince should never suffer contradiction. When in error, prince should be told. ‘What if everyone hates him?’ C- Not enough: Good should love, bad should hate. (13.20) ‘present politicians?’ Those puny creatures are not even worth mentioning. (9.26) One cannot deny the humblest man his free will. Just as Confucius appears in Daoist texts as an ally but inferior rival, so do proto-Daoist sages in the Analects. This is very much like Buddha vs. the Jains, in that other group isn’t mentioned by name, but found not to be in balance but extremists. Daoists wanted to escape into nature, while Confucians believe in the value of the city and embracing not escaping humankind. Believe in balance, like Daoists, but seek to balance the city, not escape into the perfect balance of nature from the city. Daoists are more skeptical of society. (18.16) One cannot associate with birds and beasts. If the world were following the way, I would not have to reform it. It is not right to be a hermit, and discard human relationships to preserve one’s purity. (18.18) I do things differently. I follow no rigid prescriptions on what should or should not be done. (4.1) It is beautiful to live amidst humanity. It is hardly wise to live in a place destitute of people (don’t be a Daoist hermit). (15.31) I once to meditate went without food for a day and a night without sleep. It was no use. It is better to study. (2.1): At 15, I set my mind upon learning. At 30, I took my stand. At 40 I had no doubts. At 50, I knew the will (mandate) of heaven. At 60, my ear was attuned. At 70, I follow all the desires of my heart without breaking any rule. (4.2) A good man rests in his humanity. A wise man profits from his humanity.